"What could possibly be so good that you'd want to marry? 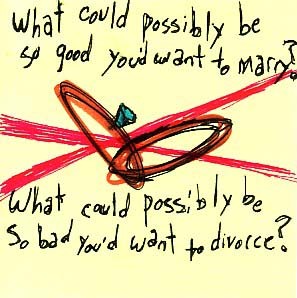 What could possibly be so bad that you'd want to divorce?" Purchase this nifty sticky note artwork on rated-r clothing, rude coffee mugs, misogynistic buttons and much, much more! .